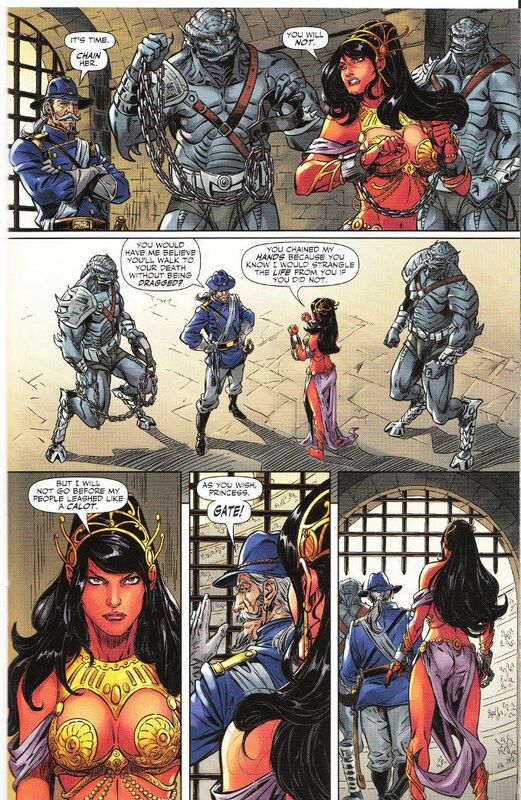 There's not much action to be found in John Carter: Warlord of Mars #4. What action we do have comes in the form of a flashback. 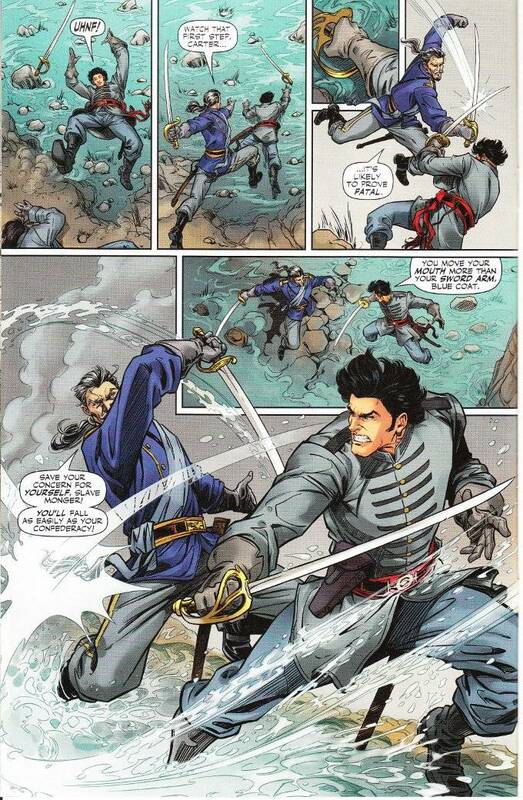 It is here we see how Captain John Carter of Virginia came to blows with Captain Joshua Clark of Pennsylvania during the American Civil War and how both men have a certain shared nobility, with Clark seeing himself as a great liberator and Carter being against slavery personally but also being determined to protect his home. This scene encourages some slight sympathy for Clark, who until now had been portrayed solely as a vindictive madman with a grudge. Which he is, of course, but knowing the motive for his madness enriches his character. Such moral complexity is typical of Ron Marz. It would be relatively easy to spin a simple tale of princesses held hostage and great warriors doing battle in a weird world as countless other pastiche authors have done so before. But Marz is above such lazy writing and his Dejah Thoris is no damsel to be rescued no matter how distressed she may be. Even in the darkest hour, she still has the baring and dignity of a warrior queen. The artwork is equally complex while seemingly simple. Penciler Abhishek Malsuni's character designs are crisp and clear, while possessing an extraordinary amount of fine detail. The inks of Zsolt H, Garisa perfectly enhance the pencils without a single moment of overshading. The colors by Nanjan Jamberi are all well-chosen. Even the lettering by Rob Steen is impressive, with slight variances in boldness and font size emphasizing key words.